In this guide, I am going to explain the different ways on how to activate call waiting in Android phone. In any phone, you can only attempt one person’s call at a time. At that time, anyone can call you, but you won’t know about the person and the caller will listen to a busy beep. That’s why call waiting facility is present in every phone. Call waiting acts as an important option that allows the user to get a notification on incoming calls when taking a call. At the same time, on the other side, the caller will receive a waiting voice rather than the typical busy tone. 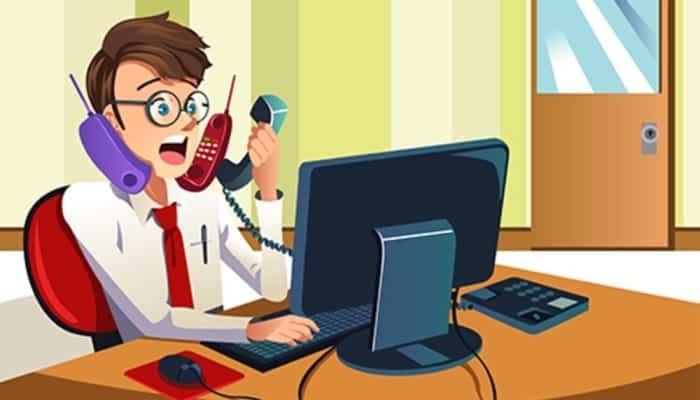 This way you do not miss important calls and also have the liberty to have a call at the sensitive phase when you’re expecting significant calls. In a basic phone, you can easily find out call waiting option. However, today is the age of Android smartphones. A new user will inevitably face difficulties to enable call waiting function on their phone. 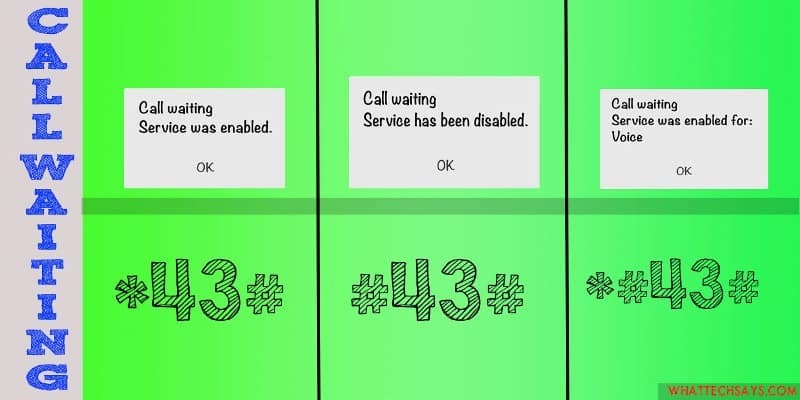 There are three procedures to activate call waiting service. Let’s know about them. If you are a busy person yet can’t afford to miss a single incoming call, it is a very good idea to employ an attribute of call waiting. If you have activated this feature, you will be informed of the incoming call even during the continuing conversation with some other caller. Now, it’s your option to attend the call if it is the important caller or dismiss it till the access to the time at the end of the present call. Android has many versions. But, you can apply these tricks to activate call waiting in Android KitKat, Lollipop, Marshmallow and Nougat. I have tested these procedures in my Google Pixel as well as other phones with lower Android version. Well, without wasting your time let’s learn the ways. USSD or Unstructured Supplementary Service Data is a protocol used by GSM cellular telephones to communicate with the service provider’s computers. 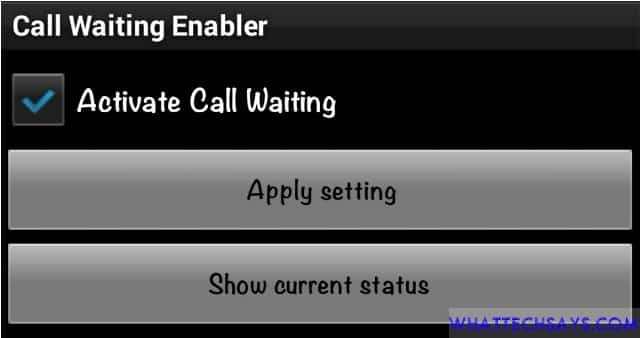 This is the easiest way to enable call waiting service on your Android device as well as other basic phones. People generally use USSD codes to check their mobile balance or service status. Follow the below procedure to activate, deactivate and check the status of phone waiting service. You can directly dial and these codes to enable or disable call waiting facility on your Android smartphone. Phone Dialer or Call Dialer is a system app which is used to dial phone numbers on your smartphone. You can use this app to make phone calls as well as activate additional settings on your device. 1) First of all, go to your phone’s dialer. Once inside tap on the three vertical dots in the action bar on the top right of your screen and select Settings. 2) After that, tap on Calls option. 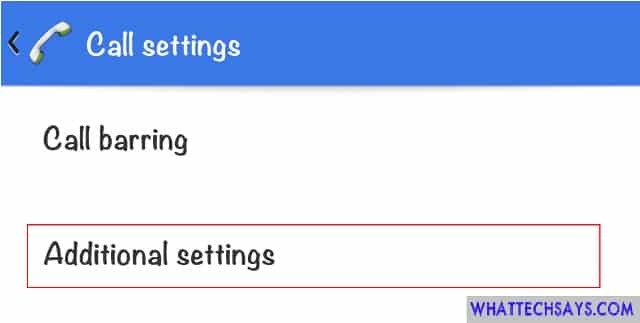 3) Here, you’ll get Additional settings option; tap on it. 3) Now check the Call waiting option to enable it. If you want to turn call waiting off at any time, simply uncheck the box. The steps may vary in different versions. But, every version has a call dialer app and you’ll get the call waiting option within this app’s Settings. Call Waiting Enabler is a free and tiny app, which can be able to activate call waiting service on your mobile easily. Check the “Activate Call Waiting ” option and tap on “Apply setting” to enable the service. You can easily turn it off by simply uncheck the box. This is applicable for those, who need to enable or disable waiting service regularly. Remember one thing that, it won’t enable call waiting in cases operator doesn’t support it or has prohibited this feature. 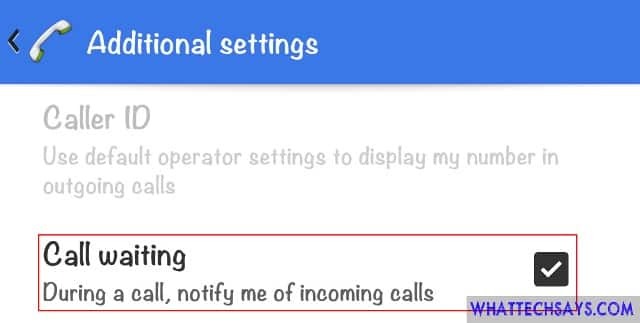 These were the ways on how to activate call waiting in Android Lollipop, Marshmallow, and Nougat phones. If you have known any other procedure to perform this task, then do share with us and don’t forget to share this article with your friends.